Step One:Tie in the thread in the middle of the hook shank. 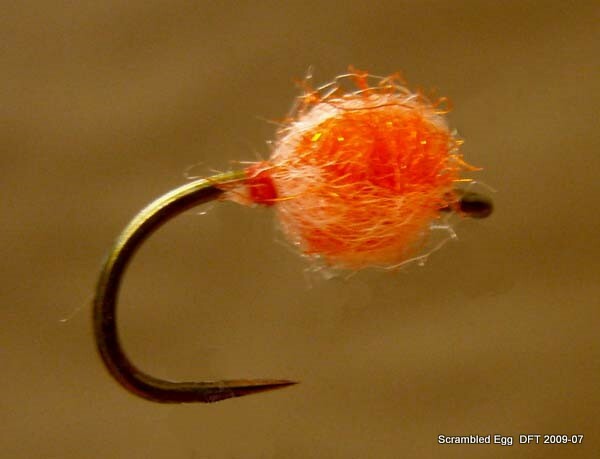 Take note, rather use the least amount of Egg Yarn as you are using it to create a translucent ‘cocoon’. 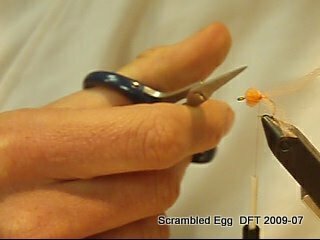 Cut a 8cm section of Egg Yarn – this is then split in the length as you will only be using half of the original diameter of egg yarn to tie this fly. 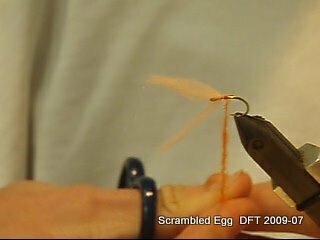 Now split this tied in Section and then using your thumb and index finger, turn this split section on the shank so that it is now located at the bottom of the shank. Viewed from the top is should look like a Y. Tie in the Section of egg yarn that was kept aside in step one on top and middle of the shank. 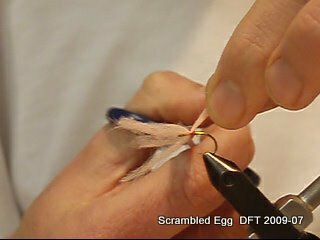 The finished fly must be located in the middle of the shank so be sure to leave enough space behind the eye. 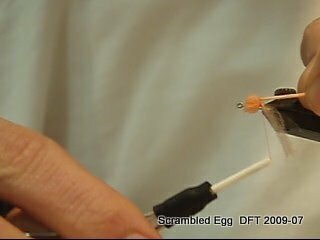 At this point you should have three ‘pieces’ of egg yarn sticking out towards the front of the hook over the eye. 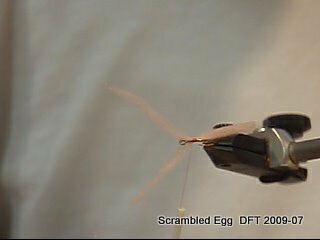 Spin the dubbing onto the thread and form a round underbody the size of the actual egg. 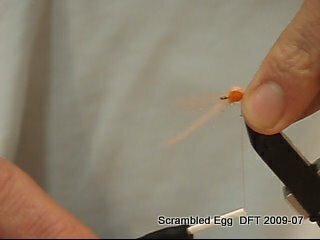 Start in the middle of the shank, cover those wraps that secure the egg yarn and end off towards the back of the hook. Your thread should be located behind the egg body at this point as this is where you will tie in the Egg Yarn. 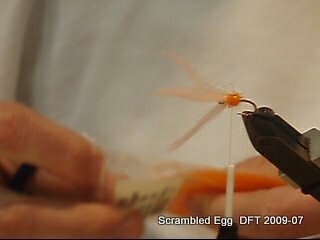 Optional : Cut away any strands of dubbing that protrude past the actual body of the fly. You now take each piece of each yarn individually and for the ‘cocoon’ around the dubbed body. Start with the section you tied in first and that is located on the top of the shank. Pull it over the top and to the back of the dubbed body covering the top half of the body and while trapping it with two loose turns of thread, leave some slack in the yarn as to form a bubble in the material. 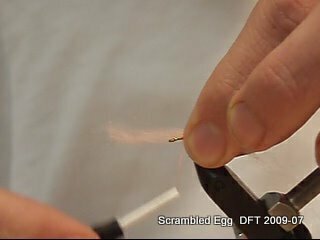 You can also use a needle to ‘lift’ the Egg Yarn off of the dubbed body as to achieve the desired effect. Now repeat this step for the other two pieces of yarn covering the bottom half of the body. 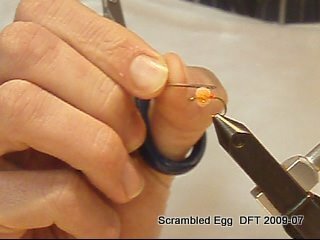 Making sure that the egg yarn covers 90% of the body in a translucent ‘cocoon’, whip finnish and cover thread wraps with head cement.